For more than 75 years, the Alaska Highway has attracted adventure seekers from around the world who want to explore Canada’s untamed north and beyond. 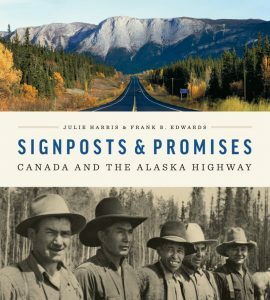 The Fort St. John North Peace Museum and the Alaska Highway Community Society worked together to produce the book, which compiles research and stories that were collected during the process to nominate sites along the Alaska Highway Corridor as a National Historic Site. The book was written by Julie Harris and Frank Edwards, and features nearly 200 historic and contemporary photos. 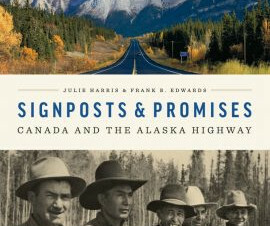 “Signposts and Promises: Canada and the Alaska Highway is a beautifully designed and lavishly illustrated large-format book that celebrates the Alaska Highway’s extraordinary natural and cultural landscape,” the museum says in a news release.